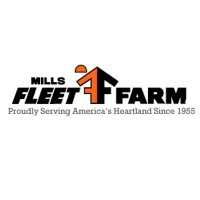 Blain’s Farm and Fleet is a retail chain company based in Wisconsin, Illinois. It sells kitchen appliances, house tools and hardware, farming and agricultural supplies and equipment, fishing and hunting apparatus, sporting goods, outdoor tools and supplies, and automotive accessories. Brothers W.C. “Claude” Blain and N.B. “Bert” Blain opened their first store in 1955. Over the years, the company has adopted the “buy through phone or online, then pick up at the store” method wherein customers may give their orders ahead of time. Once orders have been placed, the customers may just drive by the store to get their items. The company has around 3000 employees for more than 30 retail stores in Iowa, Wisconsin and Illinois. There are already proposed store locations to be set up for Michigan. The benefits that the company provides their employees include a comprehensive health, vision and dental insurance, life and disability insurance, a 401k and retirement plan, maternity, paternity and military leave, paid time off, and vacation leave. Aside from the benefits, employees are also offered competitive salary packages. They are also provided with gym memberships and mobile phone discounts with partner companies. Trainings and development programs are also regularly conducted for employee career improvement. How old do you have to be to work at Blain’s Farm and Fleet? An applicant should at least be 16 years old to qualify for entry level positions. However, for managerial positions, the minimum age requirement is 18 years old. As one of the fast-growing retail companies, Farm and Fleet regularly hires new employees. Available positions differ from one store location to another. Sales Associate: A Sales Associate makes sure that the customers are well assisted. He monitors and keeps product stocks well organized. Sales Associate also regularly checks if prices posted are correct. If there are price discrepancies, he removes and replaces all inconsistent price ads. Customer Care Desk Associate: A Customer Care Desk Associate handles all customer inquiries through phone or email and also those in the store. He is also responsible for product exchange or returns and even complaints. The Customer Care Desk Associate may also help with administrative tasks as needed. Stocking Crew Associate: A Stocking Crew Associate helps distribute products to their correct shelving lanes. He may assist with the unloading of products from delivery trucks to the store. The Stocking Crew Associate also keeps records of all distributed products and makes report for management use. Warehouse Picker: A Warehouse Picker gets customer orders and checks if products are available in stocks or in the warehouse. He assists in carrying products from stocking shelves to conveyor belts for distribution. He also makes sure that the stocks in the warehouse are always replenished. Service Advisor: A Sales Advisor helps customers with their orders and answers any inquiries prior purchase. He also processes and monitors deliveries if any. The Service Advisor also monitors product inventories and arrival dates. If a customer needs a quotation for product orders, he will be the one to prepare it. Carts and Carry-Out Associate: The Carts and Carry-Out Associate is responsible for collecting carts from parking lots and nearby streets and brings them back to the store. He makes sure that parking lots are clean. He may also assist customers in carrying purchased items from store to their vehicle. Cashier: A Cashier handles all customer payment transactions through cash, credit or coupons. He sorts items and return any that are left on the counter. The Cashier may also inform customers of new promotions or store events that will help increase store revenue. Automotive Service Technician: An Automotive Service Technician installs and repairs tires and other automotive accessories. He performs oil exchange and replaces batteries. The Automotive Service Technician may also assess and give recommendations for electric wirings for automotive accessories that need to be installed or replaced. Maintenance Personnel: A Maintenance Personnel cleans and maintains store rest rooms, offices, hallways and parking lots. He helps in keeping stocks in order. The Maintenance Personnel may also assist in performing administrative tasks like photocopying or sending letters to posts or via courier. Store Manager: The Store Manager oversees all store work flow and staff assignment. He monitors customer satisfaction, staff training and development, and product flow. He may also be involved in hiring new staff and may conduct interviews. The Store Manager makes sure that State laws and company standards are always followed. To work with the company, an applicant will have to open an account with the company’s official website. Available positions are listed and categorized according to location and rank. Even though an online application is encouraged, applicants may also apply by visiting store locations. Applicants will have to answer an employment form, which is the same as the one answered online. In filling out application forms, an applicant must make sure to complete all the required information. Contact details, such as contact number and email address, should be correct and active. To make a successful resume, an applicant should make sure that it is concise and complete. The resume must only consist of 1-2 pages. Related experience and trainings should always be in chronological format. Moreover, for a successful interview, the applicant must be at the location on time and is dressed appropriately. Supporting documents like certificates or licenses may also be brought if the hiring team will require it. The applicant should also be prepared to undergo drug or psychological tests, if needed. Since Blain’s Farm and Fleet is a family-founded and run business, its culture is built on trust and respect. They also believe and encourage employees to grow and be successful with the company. In 2016, the company started a partnership with the Janesville Police Department to help elementary students shop for Christmas presents for their families. It has been reported that this initiative will be a yearly Christmas tradition for the company. The company is also known for helping people start up with their careers. It accepts high school graduates and provides them training programs that help in improving the career. In 2015, Gold Well Workplace Award has been given for this effort. To give back to the community, the company supports the Kids Helping Kids foundation. They provide gift card sales and host a fundraiser event for this cause. In 2014, around $10,000 in cash and gift card have been raised for the kids. 1 How old do you have to be to work at Blain’s Farm and Fleet?